You want to share your views with us and our readers. Then you are on the right page. We recently started the Guest posting tool on our website and this gives you a wonderful chance to share your post on our website and showcase your art and skill and tell our readers how effectively you can inspire them, educate them and teach them. You can put your opinion in your own ways and we will surely appreciate your suggestions, ideas and views. If you think you can inspire someone with your writing then this is the platform that can help you realize your goal. The blog article should be related to the categories from our blog which are Technology, Gadgets, Discover, How to, Blogging, Career. You can take a look at our various categories to get a clear view of the type of articles we write. You can choose from the various categories and select any category of your choice and interest. 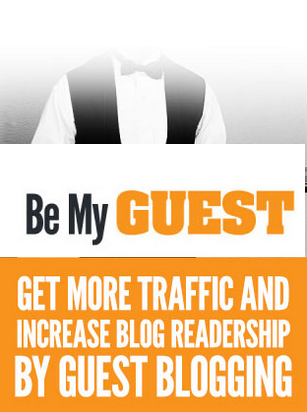 Why to write a Guest post? Why Quikrpost for guest post? We are a well-established website over internet who are continuously creating new benchmarks for various other well performing websites. We are having a team of 4 people who are just involved with this website and tracking its performance all time. We started with nothing but today we are having Alexa rank under 30k in India and under 2lakh all over the world and we are improving every day. Right now we have 20 guest authors on our blog who have contributed some really good articles and have given really great reviews about our efforts and team spirit. We will make sure your article gets the required attraction and appreciation and we would definitely not let you say post without atleast 2 dofollow backlinks from Author Bio. There is no lengthy method that you need to follow to write guest post here. It is “Simple yet Effective”. Just Go to the Following LINK and write your article and fill some post related blanks like tags, category to relate your article to, your website URL, your email address and few more. Once you are done with all that just click SUBMIT. Now your part is complete and ours responsibility begins. We will review your article just to make sure that it is a piece of your creation and it does not have any grammatical mistakes or typing mistakes. Once out team is done with that we will contact you personally or over mail to inform you, the date of your post getting published on our website front page (HOME PAGE). Soon you will see that your post has reached a vast audience and in no time your post is getting all that it wanted. You can add links in between your post as well. It must not be a Copy paste stuff and should have originality. Give a nice Title to your Post or else we will give one. You can always use post links from quikrpost.com in your article for any reference. We would appreciate if you write articles that are informative and self-explanatory. Articles that can solve the readers query, add value to his knowledge, persuade him to share with others in his circles. Since it is your article, you have to reply for your comments. We would advise you to be more active in replying to your comments since it will help you earn trust of the reader. Avoid using any other links that are not directed to your website or ours. You can always ask questions and clear your doubts with us. To help you with that you can check our contact page. We will surely not let you go away empty handed after you have submitted your post and it has been published on our website. We encourage you to add web links in your post and give readers an original content. If we find you as a good content writer we will put forward a proposal for joining our team and earn handsome money with us at the same time. we will look forward to your post . But till then if you are good to do guest blogging with us then you can simply submit us with you blog post that you want us to publish and we will do it within 1 day time. and paste your content with details covering following points. 5) your email address for reference communication remember your article must be at least 700 words long else we might not be able to post it.